Technology has become the lifeblood of the modern financial institution. It has also changed the makeup and priorities for financial security systems dramatically. Today’s threat landscape spans a range of electronic devices, due to the increase in internet access and usage of digital banking applications. These modern day conveniences make data more vulnerable and offer more outlets for criminal intrusion. Falling victim to security breaches and associated attacks is very costly for Pennsylvania banks and credit unions, both from a financial and reputational standpoint. According to Cybersecurity Ventures, the global cost of cybercrime damages will hit $6 trillion annually by 2021. This includes damage and destruction of data, theft of personal and financial data, and disruption to the normal business operations, among others. In addition, as the number of security threats continues to increase in the financial services industry, regulators, including FFIEC and NCUA, are taking a closer look at Pennsylvania banks and credit unions’ policies and procedures to ensure that they can effectively safeguard confidential and non-public information. Having technology in place that minimizes the potential for data destruction and corruption and ensuring all backups are working and accurate is vital to a secure institution. To be better protected in the digital world, Pennsylvania banks and credit unions must initiate layers of security that protect all vulnerability points. Multiple controls and security layers ensure that gaps or weaknesses in one control, or layer of controls, are compensated for by others. Attackers are leveraging a number of channels to penetrate a bank or credit union, including web applications, operating systems, mobile platforms, email servers, and even hardware. The BCP is the crucial blueprint for guiding a Pennsylvania bank or credit union through recovery from a business outage and is instrumental in ensuring that people, process, and technology elements are all properly coordinated and restored. These plans have evolved from one or two-page outlines for banks to follow in times of disaster to a large, step-by-step detailed instruction manual for everyone in the financial institution to follow should a disaster strike. The disaster recovery plan is designed to outline the specific steps that need to be done immediately after a disaster to begin to recover from the event. It serves as a plan for accessing required technology and infrastructure after a disaster and steps to take to enable the bank or credit union to operate normally. The lack of an effective patch management program has contributed significantly to the increase in the number of security incidents in banks and credit unions. All software applications require updates from vendors, not just operating systems. The most popular software products are tested by hackers for weaknesses, and vendors have to constantly release security updates to keep these applications safe and secure. An effective patch management program should include policies and procedures to identify, prioritize, test, and apply patches in a timely manner. The longer a system remains unpatched, the more vulnerable the intuition becomes. 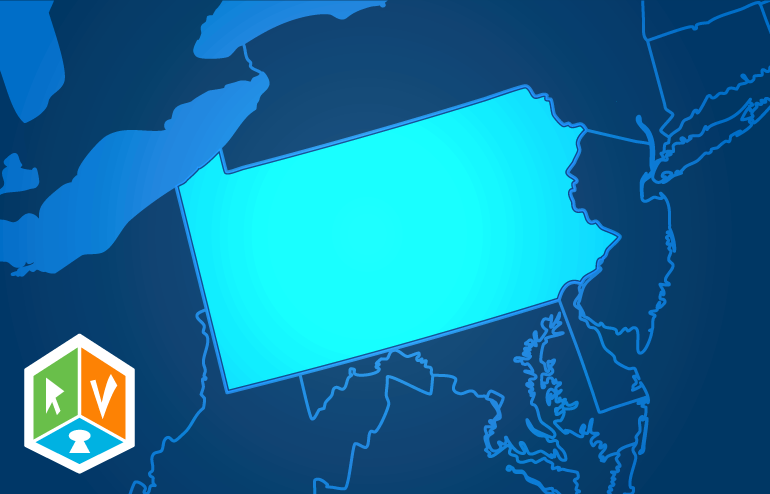 Pennsylvania banks and credit unions rely heavily on third-party service providers to offer specialized expertise and services to ensure the institution is successful. To perform these services, vendors often must access, transmit, store or process sensitive information, including customers’ personal information. Banks and credit unions are responsible for understanding and managing the risks associated with outsourcing an activity to a service provider. 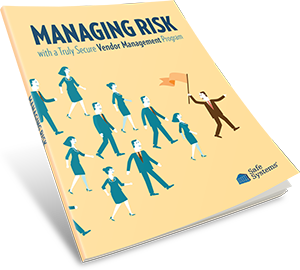 It is important for all banks and credit unions to strengthen their vendor management programs to safeguard the confidentiality and availability of the data and also minimize the impact if a data breach occurs. Controlling the access rights to endpoints, such as a computer, laptop, mobile device or tablet that connect to a corporate network, limits the potential for harm by external sources. Endpoint Security is a valuable layer of security against cybercrime, especially against data loss via portable storage devices. Security is one of the greatest challenges and concerns for Pennsylvania banks and credit unions today, and they cannot be complacent when it comes to protecting themselves and the sensitive information they hold. At Safe Systems we understand the challenges that come with managing security programs and ensuring the network is safe and secure. By making the decision to partner with Safe Systems, your organization will benefit from time-saving automation, an in-depth view of your IT network environment, and additional support in co-managing your IT security operations. We want to provide you with assurance that the institution’s IT network is functioning efficiently, optimally, securely, and is in compliance with industry regulations at all times. For more Pennsylvania-specific resources please visit the Pennsylvania Bankers Association, https://www.pabanker.com, Pennsylvania Department of Banking and Securities, https://www.dobs.pa.gov, and Pennsylvania Credit Union Association, www.pcua.org. These organizations serve as resources helping banks and credit unions stay well-informed about the marketplace, regulations and compliance issues affecting Pennsylvania institutions. 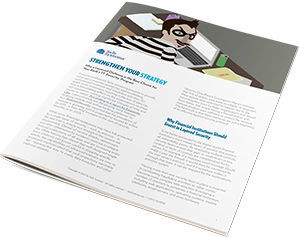 Learn why a single layer of security, such as antivirus, is no longer enough in the current risk environment.